A friend introduced me to this 17-page article written in 1982 for The Atlantic. It's all about the fabrication of the Diamond Industry, and how De Beers, with the help of marketing firm N.W. Ayer, managed to transform the psyche of the entire world! If you try to resell a diamond, you'll never get what you paid for it... think about it. Diamonds only maintain their value if the consumers hold on to them. 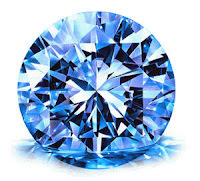 If the general public decided to part with their diamonds, the entire industry would crash. Diamonds were given to celebrities in the 50s and 60s to associate diamonds with status. Along with coming up with the slogan "A diamond is forever", N.W. Ayer has also created some of the greatest marketing campaigns in history; including "Be all you can be" for the American Army. Posted by Zakir Hemraj at 10:09 p.m.
A friend, eh? No link love!